Hey everyone, today our guest is Russ Perry, founder of Design Pickle, a service that offers unlimited designs for a monthly fee. Today we’re talking about how Russ grew Design Pickle from a one-man show to a six-figure business, how he scaled the company by going niche, the genius guest blogging strategy that got them their first 1,200 customers, and how a popsicle cart, a human pickle, and free pickles turned Design Pickle into a household name. [3:08] – Russ was great at selling creative ideas, but they became more and more complex. As his company grew things became really complicated and Russ wasn’t prepared to deal with all of this. [18:11] – Work hard, party less. Be confident and niche down. Russ: Be confident in a niche, like niche down. That to me ... We talk about the struggles of the agency. I was so worried, I was trying to be everything to everyone with the business because I was so worried about revenue and cash and just making a sale. I was too afraid to go after a niche. Eric: Before we jump into today's interview, if you guys could leave a review and a rating and also subscribe as well, that would be a huge help to the podcast. If you actually enjoy the content and you'd like to hear more of it, please, support us by leaving us a review and subscribe to the podcast as well. Thanks so much. All right everybody, today we have Russ Perry who's the CEO of Design Pickle, which provides unlimited graphic design help for a flat monthly fee. I'm a happy customer, I'm not affiliated at all, but I wanted to have Russ jump on the show today. Russ, how are you doing? Russ: I'm well, thank you for having me. It's good to connect. Eric: Yeah, thanks for being here. Why don't you tell us a little bit about yourself and talk a little bit about the company? Russ: Yeah. Those go pretty much hand in hand. Before we get to Design Pickle, I have to confess I was a terrible agency owner in the previous life. My professional experience pretty much outside of college was working in agency capacity, freelancing, building agencies. It all ended in a big fireball experience in September 2014, but the one thing that I realized that I learned how to do well was manage production level of graphic design. In my mid business life crisis times of late 2014 I did a lot of soul searching, book reading and came up with Design Pickle, really after reading a great book by Dan Norris, 7 Day Startup, and just had an aha moment around what I was doing on the site with some consulting and decided I'll make it run at the whole productized service space and launch Design Pickle which, if you don't know, we offer a flat rates graphic design service. You just sign up, it's one price every month, no matter how much you use it. We help you with a lot of the ... pretty much all the marketing and sales graphic design stuff that most businesses need. Eric: How much do you charge for that? How much is Design Pickle? Russ: Currently we're at $370 a month. If you use us zero times it's $370 a month. If you use us 50 times, it's $370 a month. be able to have it all in one, no contracts, nothing like that, just all in one, is actually pretty amazing, just to paint a picture there. Russ, I want to back up a second. I want to talk about the agency for a little bit. You talked about the agency being tough times. What happened there exactly? Russ: Oh, man. I don't think we have 5 hours to chat. The main things that I realized, the main thing with the agency, first of all was I was really great at selling creative ideas, however, a lot of our creative ideas as we grew as a company became more and more complex. We went from hey, let's design you a WordPress site to hey, let's implement a 12 month hub spot strategy and implement hub spots. Things got really, really complicated, really fast as we grew. Frankly, I just wasn't prepared to be a leader in that type of organization. We ended up selling a ton of work in 2014, 3 million dollars of revenue and lost just about ... Basically, had to walk away from everything halfway through the air because of one reason or another. I just was able to do some serious soul searching at that time and be like, "Look, this is not my path. My path is not to build the next big agency. My path is something else." I didn't know what that was, but I finally was able to come to grips with that realization after, obviously, some very dramatic months of losing clients. Eric: Got it. Okay. Just to be clear here, you guys were losing clients because you were not fulfilling the work or was there another reason? Russ: The whole overpromise under-deliver scenario, that was the biggest thing because we had no niche, we had no specialty. We had no thing that was ours. We were just trying to be generalists. I would bump into you at an airport and talk to you, "Oh, yeah, sure, yeah, we can do that. Yeah, let's do it." Like I said, I was very good at creating the concepts, the strategies, the ideas, but implementing those at the end of the day became a huge challenge as we scaled in size and those ideas became more and more complex. Eric: Got it. Okay. Let's talk a little bit about Design Pickle today. Where are you in terms of revenues and number of customers? 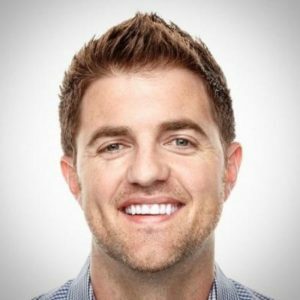 Russ: Today, at the time of this podcast, we just broke $89,000 a month in recurring revenue. We're around 350 clients. It's a fluctuating number. We're a bit slow with sales this month. Sales churn is sadly one to one right now. We're at 350 clients. Some other fun stats. We launched in January 2015, but all of 2015 we did a little north of 10,000 design requests. By the end of this week, so the end of April, we will have done 10,000 design requests in the first 4 months of the year. Russ: We're just scaling and scaling, yeah. Eric: January 2015 and you guys are now on a million dollar run rate, right? Eric: One thing you mentioned, you mentioned sales and churn right now. I wonder why. Why does churn seem so high? Russ: Dude, churn is a nightmare for us. Here's the pain of it. We have so many happy clients cancel because unlike some sticky software, where you're like, let's just say Quickbooks, for example, where you're integrate into the whole function of an organization. If someone doesn't want to use us anymore, it's just a decision. They could be totally happy with what we're selling or offering, but at the end of the day, we're a productized service. It's just a service they can choose not to use. Russ: We're trying to figure out and I don't know the answer yet. We just churn for reasons that are unpreventable. The business can't afford it or whatever. Then we have this happy churn, which is really confusing. Then we have just the churn for churn's sake [inaudible 00:07:01] either a bad experience clients had or a bad designer match, which can happen. It's these almost like different layers of churn that we're trying to figure out and tackle. Eric: Right. Interesting. Okay. I'll have to have you on the podcast another time when you figure out how to solve that, the three layers of churn. Russ: If I could solve churn I think I could start my own business, like a way more larger business than what I'm currently doing. Eric: Got it. Okay. How are you doing this all for a flat fee right now? What if some guy comes in and has 1,000 requests all of a sudden? How do you make the numbers work? Russ: Our biggest throttle is turn around time. Things get slower the more volume you have. Eventually, there's just a point of diminishing return to where ... We had one guy on an 8 month queue, he had thousands of requests submitted. We're like, okay, we'll be done with this many thousands of requests in about 8 months. He was cool there, he said, "All right, cool." Most of it was evergreen social media content that he was just pumping through our system. That's the best way we throttle. Your first few requests will usually get done pretty quick, within a day or so. If you stack on more, those will take a little bit longer. Then you just find what your equilibrium is, what the needs are for your business. What we can do, most of time we can handle a lot of our clients' needs. Other times we're only going to do part of it and they'll have to go somewhere else to get the rest of it done. Eric: Right. Are there any promises in terms of deadlines and things like that or the client has no control over deadlines? giving feedback, knowing what they want. For us to put the pressure on ourselves for delivering things by a certain time, where most of that experience is controlled by the client. That's setting us up for a failure. Russ: We have a clunky ... It's not clunky as in hard, it's just you can't sign up and one hour later be using the service. There are several steps you have to go through. Actually, that's a test for us with the client to see how patient they are. If they sign up and they're like, "I need this now!" Then we'll refund their money and say, "Hey, we're not going to be a good fit for you." It's like a culture check almost in a lot of ways. Eric: Right. Yeah. I can image that being a problem because at $370 that allows people from the lower end to get in as one. You can have those "nightmare clients" so I can see that being a problem. I want to talk about going back to January 2015 when you guys launched. How did you guys go about acquiring your first thousand customers? Russ: We've had about 1,200 come through our system. We actively maintained 350 so we've had a lot of churn over the year. First of all, it was hassle. I just hassled. I, literally, emailed every person. I'd exported my LinkedIn database, all the emails, emailed all those people and I coordinated a guest blogging strategy. That was the extent of my strategy for launch, was how many people could I get to commit to me writing a blog post for them and then publishing all those blog posts at the same time, offering a launch special. It worked. Dude, I was writing blog posts. I don't even know what I was writing. I was like, you have a cupcake blog? Cool. I'll figure out a way to write about cupcakes, like it doesn't matter. That was the launch strategy. It gave us enough velocity to actually get some cash to then start investing into more strategic things. The biggest thing we did right out of the gates in March 2015 was the Infusionsoft trade show in Arizona, the ICON 2015. That was but a huge hassle. I was dressed up as a pickle, handing out pickles during lunchtime. We were too late. We decided to sponsor, there's no booth [inaudible 00:10:56] or anything. I was like, "How about this?" I got a Mexican popsicle cart, pushcart with the bells, wrapped at Design Pickle, bought a pickle Amazon outfit and handed out pickles during lunchtime. Russ: It was a huge success. I got selfies with the CMO. It was a blast. Eric: How many customers do you think you got from that? Russ: I still to this day, over a year later, have people sing up that are like, "I saw you as the pickle!" I would say at least 100 and 150 customers in total have come from that activation. It cost us like $4,000 in total. The sponsorship was the most expensive thing and that was like $2,000. conferences and spend that $4,000 each time? Russ: We're self-funded and there's ... We got lucky with that one. It's hard to negotiate the pickle thing, but it is on our strategy. I will, actually, confess. That was a one time thing. Trade shows and events and all that are cash intensive. You think, okay, I spend $4,000, $5,000 on that or what can I get from $5,000 of Facebook advertising with any of the effort that you put into it? We've since come back to events. Starting this fall and through next year, you're going to see us at a lot more events because we realized that is pretty successful. Eric: Got it. Okay. I know you did something with Digital Marketer as well, which is the perfect type of audience for you. They started mentioning Design Pickle quite a bit. I remember in some of their podcasts or videos and things like that. Walk us through how that partnership turned out for you? What happened there? Russ: Officially, there was no partnership. They were just the client and started recommending us, which is awesome. We got mentioned at their big conference in February, Traffic & Conversion. Then Molly Pittman became a client and started using us for all their Facebook ad designs. With her system that she uses that great system. She name dropped us on stage and it was a flood of signups. Again, further validation that we need to be at events. We've actually since formalized some partnership. We're on the Recommended Tools page. We're going to be sponsoring their new conference in Florida. Their content and conversion line in Orlando in September. I'm super pumped about them. Couldn't be a better culture and a better organization. I've worked with a lot of trade shows and a lot of groups and they've just been right on. I was a member of Digital Marketer too before they signed up for our service. Everything they've been doing is just a perfect match for what we've done or what we can serve. Eric: Love it. Okay. It sounds like the live events are going well for you. What's one more effective thing you're doing right now in terms of customer acquisition today? Russ: Weekly demos live every week. I'm on a webinar, just talking and just showing our service. I have persistent Facebook ads running for those. We're always tweaking how those work, but it's like, "Hey, sign up for a demo, check us out." It becomes like a weekly chore at times, because I basically say the exact same thing every single week, every hour, every time I do it. We have great conversion from that and we're just going to continue to scale that up. It's not like what we're doing, it's design, right? I'm not asking you to, "Hey, learn about marketing automation, you've never done it before and I'm going to teach you how to do all." Or, "Hey, we do design, we just do it a different way than you're used to." Those demos really are just a proof we're real and talk about it and show it. We get really good conversions out of it. Eric: [00:14:51] Interesting. How much are you currently spending per month on Facebook and how much are you paying for a registry? Russ: We're averaging about $5,000 a month on ads. We scaled it up recently, we did about $15,000 just to see what would happen. The right number currently is somewhere in between there. The cost of a lead to register is under $3. We only do it weekly. There's about 15% attendance rate. I've talked to some guys and they were like, yeah. If you can do these ... I know there's clever ways to do on demand ones and all these fake live webinars. I don't like doing that. I'm thinking about doing it twice a week, that way, no matter when you sign up, there's one just a few days away to see. That one improved our attendance rate. Eric: Right. The numbers you're giving are actually ... for the register rate, especially, are really good. Are you targeting cold traffic or are you targeting people that visited your website? In other words, retargeting? Russ: We have persistent retargeting campaigns to sign up, that's pretty much a straight cold action like, "Hey sign up for a service." For all of our webinar and some of the other ads, we are doing look-alike campaigns and Facebook-built based off of our newsletter signup list or our client lists. That's the best way. I tried targeting based on interest and the direct way. The lead costs were like $5, $10, $15 with those. Eric: Yeah, totally. I guess it all depends on the industry too. With design, there's always design fanatics. I find that the design and [inaudible 00:16:37] community are really ... they're really tight like that. When it comes to marketing stuff, you can see the cost per acquisition skyrocket. Registration sometimes ... I'm paying $5, $6 plus just because of the niche itself. The numbers you're giving me, $3 per a registration and then 15% for attendance rate, that's $20 per attendee, which is pretty good. Okay. That's good. It sounds like Facebook ... you're crashing it with that. Why don't you tell us about one big struggle you faced while growing this business? Russ: It's just matching the supply of our team, like how many designers we have with the demand of our clients. We're always balancing that. As a self-funded startup, I don't have millions in reward chest that I can just over-hire and be ready for any type of growth. When we had our big shout out at the Digital Marketer camp, I actually told Molly and those guys, I was like, "You guys broke the pickle jar." We had such fast traction and the scaling and so many new clients what we just got crushed under the demand and the load. I just got back from the Philippines last week. Since February and ... since then we're preparing for the fall. We've been just hassling and working on tons of new strategies and structures and processes to overcome that. I wouldn't say we're out of the woods yet, but we're preparing ourselves to be able to scale in a much more strategic way than we thought we would have to in the past. Eric: Wonderful. Okay. What's one piece of advice you would give to your 20-year-old self? everyone with the business because I was so worried about revenue and cash and just making a sale. I was too afraid to go after a niche. I know if 20-year-old Russ had gone, launched an agency targeting artists and cupcake manufacturers, I would be a 10 million dollar agency, considering how big that niche is now. I was too afraid to niche down. Now, with Design Pickle, we don't niche with the industry, we niche with the kind of design we do. That has been game-changing. I know exactly what we do well. I know what we don't. I'll say no to clients if they need anything outside of that. It's extremely powerful for making a lot of decisions in your business. Eric: I love it. Okay. What's one must-read book you'd recommend to everyone? Russ: Deep Work by Cal Newport. Eric: Good book. We've had Cal on the show in the past so if you guys want to check out that episode, it's a great one. Cal actually does not have any social media accounts, as far as I know. That's how focused he is on doing great work. Russ: He is one of the two newsletters that hit my actual inbox, is his and one of my friend's. Yeah. A great book. I'm going to have to go and listen to that interview, I'm like a fan boy of Cal. Eric: Yeah, absolutely. It's there ready for you to listen to him, man. Russ, this has been fantastic. Everybody, you should, at least, go check out Design Pickle if you do ads in any type of capacity or any type of design that you do over and over. I entirely recommend checking it out. Russ, what's the best way for people to find you online? Russ: Any social media handle is going to be Russ Perry, except for Snapchat, which I'm just learning. That is Design Pickle so that's the best way. Eric: Wonderful. Russ, thanks so much for doing this. I hope everybody goes and checks out Design Pickle. Thanks again, Russ. Speaker 1: Thanks for listening to this episode of Growth Everywhere. If you loved what you heard, be sure to head back to growtheverywhere.com for today's show notes and a ton of additional resources. Before you go, hit the subscribe button to avoid missing out on next week's value-packed interview. Enjoy the rest of your week and remember to take action and continue growing.